1. Are employees set to work your Positions? 2. Are employee maximum hours per day shorter than the “Paid Hours” (duration) of the shifts? 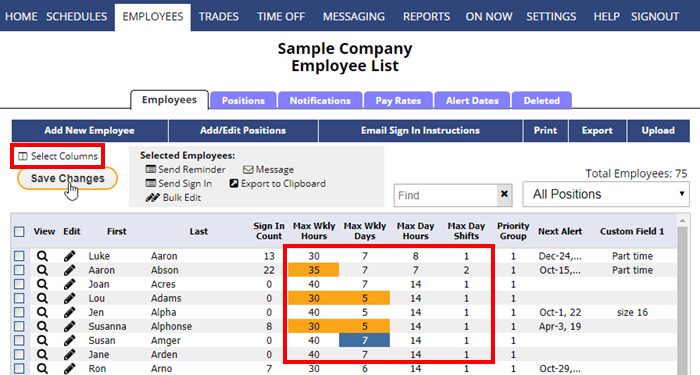 OR you can click the pencil icon next to the employee name and make the changes in that employee’s Edit Employee window and click Save & Next button to go through the list. 3. Are your Shifts “Paid Hours” correct? 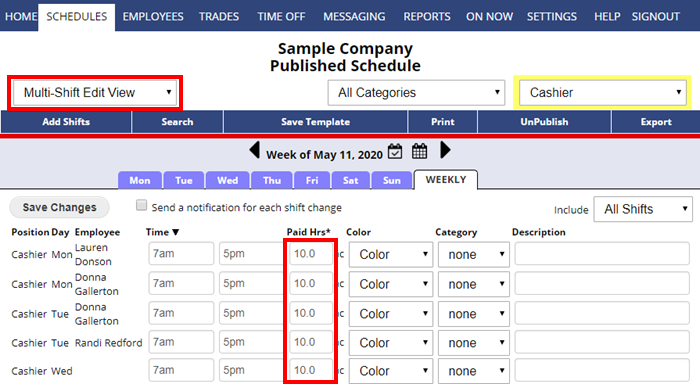 If you added shifts and did not set the Paid Hours, then the shift’s paid hours will be Auto-Calculated, which may result in shift durations that do not include any unpaid break time. The shift duration should be the total paid hours for that shift.